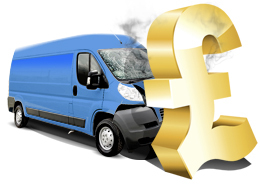 The 'Excess' policies will protect customers from the high excess charges customers risk when they hire a car as well as the many exclusions included in most other excess insurance policies including damage to the windscreen, tyres, undercarriage and roof. Our products are not only better value than those available at most car hire rental desks, but offer even more security, with cover for Road Rage, Carjacking, Travel Expenses, Hotel Expenses, 60 days continuous cover, and Lock-out Charges included as standard. iCarhireinsurance.com also offers a selection of add-ons that provide extra protection should the customer require it, including Personal Accident, Personal Effects Cover, Vehicle Rental Cancellation Insurance, Additional Policyholder and Vehicle Key Replacement. iCarhireinsurance.com also offers its UK Resident annual policyholders the option to buy excess cover for car club use. Many people find car hire insurance both confusing and limited. They end up spending a fortune at car rental desks, or find themselves with a huge excess bill at the end of the holiday after a small chip to their windscreen. In fact, with many policies not covering the most vulnerable parts of the car, you could easily get hit with both! iCarhireinsurance.com protects car rental drivers, safe in the knowledge that they will not be able to get a better deal elsewhere. They comprehensive suite of Car Hire Insurance products just in time for the peak travel season! 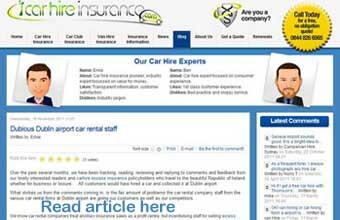 iCarhireinsurance.com car hire excess insurance products can be purchased by residents in Ireland and many other countries. Founded in 2009, iCarhireinsurance.com is a groundbreaking new online insurance service that individuals and companies that hire vehicles in the UK or abroad cannot afford to be without. We offer a range of policies that are fully comprehensive, simple to understand, unbeatable value and accepted at all car rental locations worldwide. The excess payments on most hire car insurance policies are often over �500 and can be as high as �1500. The costs involved with insuring a car against these excess car rental payments are expensive, at least �9 a day from most companies and often don�t cover the parts that are most likely to get damaged like the windows, tyres and roof. iCarhireinsurance.com is an innovative company that gives customers peace of mind and can save them money by protecting customers from these excess insurance payments. It does cover parts like windows, tyres and the roof, and is at a very affordable price from �2.99 a day and �39.99 a year. Our �Excess Europe� and �Excess Worldwide� policies are great value, simple and easy to use, and designed to fit the specific needs to each customer, whether they want daily single-trip or annual multi-trip deals. Customers visiting the USA can also save money as the whole insurance cover can be bought separately from the rental agreement and the cover is accepted at all car rental locations worldwide. By taking our �USA & Canada� Policy (Collision/Loss Damage Waiver (CDW/LDW) and Supplemental Liability Insurance (SLI)) before travelling, customers can save on the expensive cover offered at the Car Rental Desk. iCarhireinsurance.com also offers a selection of add-ons that provide extra protection should the customer require it, including Vehicle Key Replacement, Personal Accident, Personal Effects & Baggage, Vehicle Rental Cancellation Insurance, Additional Policyholder and Car Club Excess Protection. Our chosen underwriter is Service Insurance Company Limited (SICL). Its registered office is at 260-262 Main Street, Gibraltar. SICL is licensed by the Chief Executive of the Gibraltar Financial Services Commission under the Insurance Companies Act to carry on insurance business. It is registered in Gibraltar No. 93541. It is also regulated by FSA for the conduct of United Kingdom (UK) business under Register No. 422279. Save �� on Car Club Insurance! If you're a member of a car club such as Zipcar, Streetcar or City Car Club then our Car Club Excess insurance is a "must have". It completely removes your excess liability, providing peace of mind for less. Our Annual Car Club Excess Insurance replaces the excess insurance that is available from your car club. It is usually considerably cheaper and also provides more comprehensive cover and additional peace of mind. In addition, unlike many of the insurance policies offered by car clubs themselves, our excess insurance removes your excess all together instead of just reducing it to a lower amount. The policy can be bought on its own or you can combine it with an annual car hire excess policy for even more savings. Tip 1 - Think Ahead: If you think that you might hire a car more than once per year then buy an annual excess insurance policy. It will probably save you money and is more convenient as you are covered whenever you travel. Tip 2 - Go Annual: If you hire a car for around 14 days in Europe or Worldwide, the price difference between the daily and annual excess insurance policies is marginal, so always go for the annual and get the extra cover. Tip 3 - All in One: If you are hiring a car in the USA or Canada then buy the daily CDW/SLI policy unless your car rental is longer than 3 weeks, or you plan to make multiple trips. Consider the Worldwide Plus policy for multi-region cover all year. Tip 4 - Local Rentals: Don�t forget that our European and Worldwide hire car excess policies include UK cover, so if you�re looking for excess insurance for hire cars in the UK, you�re fully protected with our policies at home and abroad. Tip 5 - Upgrades: We offer the widest carhire excess insurance cover on the market, but we also offer upgrades such as Vehicle Key Replacement and Personal Accident Insurance which can be useful and cost effective. What is Excess? - Quite simply, if you hire a car and it gets damaged or stolen, the 'Excess' is the amount of money that you have to pay in the event of an insurance claim. Other terms for 'excess' include: super collision damage waiver (Super CDW), deductible and Non Waiver. What is Excess Insurance? - Excess insurance is an additional policy, which protects you from the 'excess' costs you would otherwise have to pay if your hire car gets damaged or stolen. Here's an example: Let's say your hire car is involved in a collision and it costs �2,000 to repair the damage. Under the terms of your car rental agreement, you have to pay an 'excess' of �500 to the car rental company, and the insurance company pays the rest of the repair costs (�1,500). 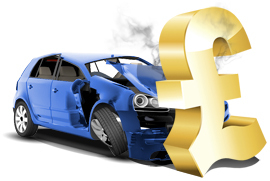 If, however, you have - 'excess insurance' - you won't have to pay the �500 or even a penny towards the repair costs. But why would I have to pay an 'excess' if insurance is included in the price of my car hire? - Well it might seem strange, but the insurance that comes as standard when you hire a car, doesn't give you the full protection you might need. It only reduces the amount you must pay if your hire car gets damaged or stolen, and some parts of the car are not covered by the insurance at all. The amount of excess you are liable for depends on the details of the insurance policy that comes with your car hire, and this varies between the car rental companies - and different countries. Typically, excess charges are between �500 and �1,500. In most cases, you would need to buy 'extra' insurance to cover other vulnerable parts of the car and to protect you against excess charges. How can I buy excess insurance? - Many car rental companies will offer you 'excess insurance' at the counter when you pick up your hire car, but this can cost you anything between �5 and �15 per day - on top of the price of your car hire. What's more, the excess insurance from your car hire company generally excludes cover for parts of the car that are most prone to damage, e.g. the roof, windows, tyres and undercarriage. But remember, you don't have to fall into the trap of buying expensive excess insurance from the car rental company counter or from your car club. You can buy the extra cover you need online for a much cheaper price - before you collect your car. Excess insurance from iCarhire - With iCarhireinsurance.com you can pay as little as �2.99 a day for excess insurance and you won't be liable for any excess charges in the event of damage or theft of the hire car. And, as an extra bonus, our excess policies include cover for the roof, windows, tyres and undercarriage. Our excess policies cover European and Worldwide car hire. We also offer annual carhire insurance policies, which are even better value if you hire cars frequently, e.g. from a car club. iCarhire Excess Insurance policies are accepted at all car rental locations worldwide. CDW - Collision Damage Waiver: Collision damage waiver (also referred to as Super CDW) is an optional service that relieves the customer of responsibility for any damage to the vehicle. If declined, the customer will be responsible for any costs incurred. LDW - Loss Damage Waiver: Renters may purchase loss damage waiver (LDW) that relieves them of all financial responsibility for loss or damage to the rental car as long as they comply with the terms of the rental agreement. SLI/EP - Supplementary liability insurance / extended protection: The Supplemental Liability Insurance option covers the renter's liability to third parties, resulting from an automobile accident in a rental vehicle to a specified maximum value for each occurrence. The evolution is here! We are taking the hassle out of car hire insurance. Why settle for sky-high prices at the car rental desk when you can buy our products for less? Why leave yourself exposed? Take out a policy that really answers your needs. Whether you are travelling to Orlando in the USA, Malaga in Spain or Brisbane in Australia, renting a car has become an affordable and convenient mode of transport. In comparison, car rental insurance, otherwise known as excess insurance or car insurance excess, has remained expensive and confusing and many people are not aware of the need to cover themselves in case of any damage to the rental car. iCarhireinsurance.com offers car hire excess insurance directly to consumers, thereby offering the best coverage at the best rates. iCarhire Customers save over 65% over the same cover when purchased at the car rental counter. So whether you are travelling to the USA or Spain, or if you're renting a car in the UK, it pays to know your car hire insurance options. Buy at iCarhireinsurance.com with confidence. Unlike other products out there, iCarhire's car rental excess products include "Local Rentals", with no distance restrictions from your main residence. So if it involves a short weekend trip to the country or a domestic business trip, you are covered! So, if you're booking from the UK, we'll automatically include UK carhire excess insurance "as part of your policy". If you belong to membership type car clubs for quick getaways, read about our Car Club Excess Protection upgrade. You will save a bundle! Have you ever come across some of these terms? Do you know what they mean? When renting a car locally or abroad, the truth is that not all car rental companies offer you the same protection. It all depends where you travel to, which car rental company you use and what rental car you drive. For example, when you hire a car in EUROPE, most car rental companies provide you with comprehensive insurance, which include Third Party Liability Insurance, cover against damage to the hire car, as well as theft protection. This means you are fully protected against any cost that you would incur in case of an accident or theft. In case of an accident, if you happen to damage the rental car or if it was stolen, and you happen to be without car hire excess insurance, often unknowingly, you will be liable for that first portion of a loss or damage which is up to a specified amount on your car rental agreement. When travelling to the USA and Canada, you are also responsible for buying your own Collision Damage Waiver / Loss Damage Waiver (CDW / LDW) and Supplemental Liability Insurance, otherwise known as SLI. In the majority of cases, it tops up your Third Party Liability cover up to USD $1 Million up from the US State minimum requirement (anywhere between $10,000 and $50,000) which is offered as standard in car rental agreements. In a nutshell, Car Rental Insurance is a minefield. Why feel pressured to pay for insurance when you hire a car? Safeguard your trip and get peace of mind. 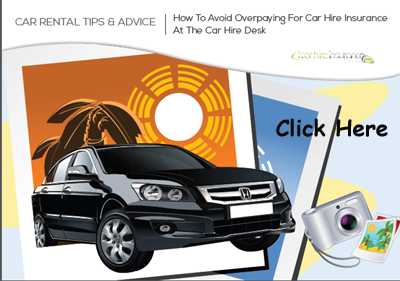 iCarhireinsurance.com has launched on the 20th June 2012 the "Hire Car Hit List", these are the 6 top tips to follow if you want to make sure you get the right car hire, at the right price. From research we conducted in early June 2012, we identified 6 key areas where hire car customers may end up paying significantly over the odds, or where they could make significant savings. So when booking your hire car, follow our "Car Hire Hit List" and remember; for the best savings "Buy Before You Fly"
1.Get the right sized hire car for you - Being unable to fit in that pushchair or extra bag costs on average �120 in upgrades and admin fees. For larger family vehicles upgrades can be as much as �500. We've built a free application to check the cars you're looking at are up to the job (click to use the free Car Hire Widget now) - Saving approx �120. 3.Shop around for car hire excess insurance - the hire car companies charge up to �20 a day depending on size and value of car to protect you from having to pay the first part of any claim if the car is damaged or stolen, which can be up to �2000 and often their waivers leave customers exposed for damage to things like tyres, windscreen or undercarriage. Buy a standalone policy from �2.99 or �39.99 per year - Savings approx �120.00 on a week's holiday. If you travel more than once a year, an annual policy could save even more. 5.Do you need a SatNav? - It can cost up to �100 to hire one for a week, and often this cost is not disclosed to you when you book. If you have a detachable SatNav at home, it is normally cheaper to upgrade to European mapping and take it with you, or consider getting a SatNav app for your smart phone - Savings approx �100 if you take one with you, or �30 if you buy one for �69.99. For example, in 10 minutes online, we found a number of full European mapped satnavs for under �100 from leading retailers including Amazon, Halfords, and PC World. 6.Hiring a car seat for your child can cost up to �75 for the week and recent research carried out for iCarhireinsurance by YouGov found that many parents are concerned about the state of the car seats provided by the rental companies. If your little one is under three, why not take yours with you, as you will only have to pay the excess baggage fee. For those with kids over 4 why not purchase an inflatable child seat for only �29.99. (See bubblebum.co.uk to purchase) Saving approx �75. b) Returning it with a full tank - make sure you do, otherwise you could pay 20% more for the fuel, plus an admin fee.